HYUNDAI WACOR TEC Co., Ltd.
Chung Ho Nais Co., Ltd.
Ho Dong Electronics Co., Ltd.
O`Shung Abrasive Mfg. Co., Ltd.
Han Baek Tex Co., Ltd.
Volvo Truck Korea Co., Ltd.
A Top Information & Technology Co., Ltd.
Seoul F & D. MFG Co., Ltd.
Jung Ang Trading Co., Ltd.
Sam Yeon Mool San Co., Ltd.
Dai Hyun Chemical Co., Ltd. The total number of businesses in Seoul were 752,285, of which 675,943 businesses (89.9%) were in the service industry, 56,026 (7.4%) in manufacturing, 20,156 (2.7%) in construction, 114 (0.02%) in electricity, gas and waterworks, and 46 (0.01%) in agriculture, forestry and mining. With respect to the added value levels, the number of businesses was slightly lower in the service industry and higher in the manufacturing industry. With our powerful search tools and marketing solutions, Kompass can help you better understand your marketplace and to generate leads as well as promote your company online towards a targeted audience. 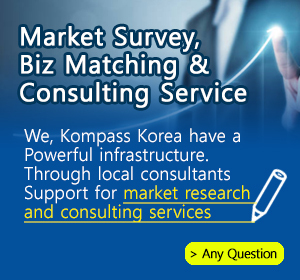 Find out the detail information about South Korean companies in Seoul which is registered in the Kompass B2B worldwide database.